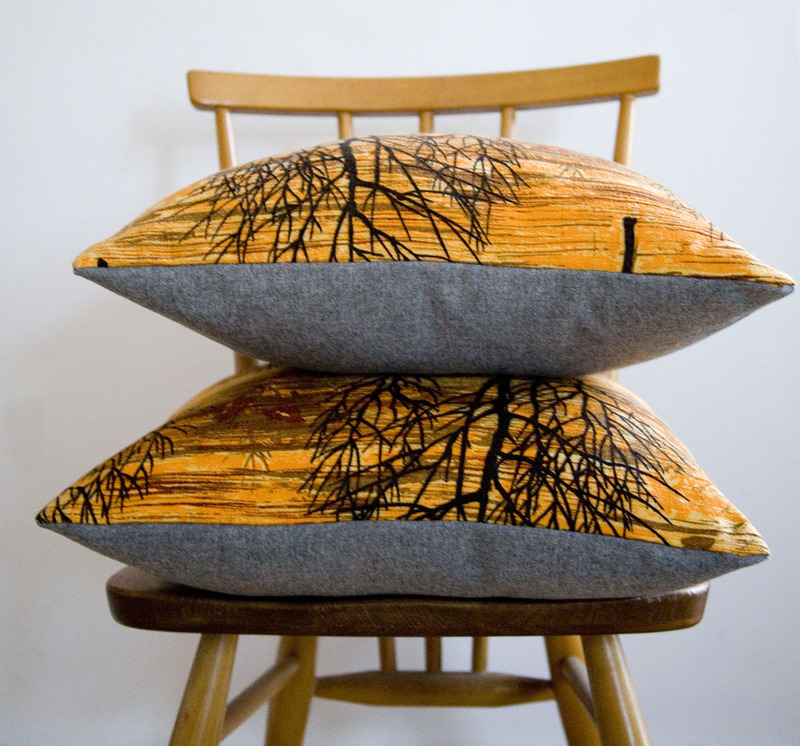 Remade Vintage 1950s Barkcloth Lucienne Day set of 4 orange cushions. 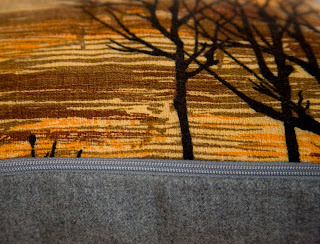 This gorgeous vintage 1950s fabric was hunted last month. 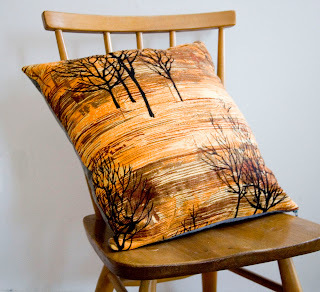 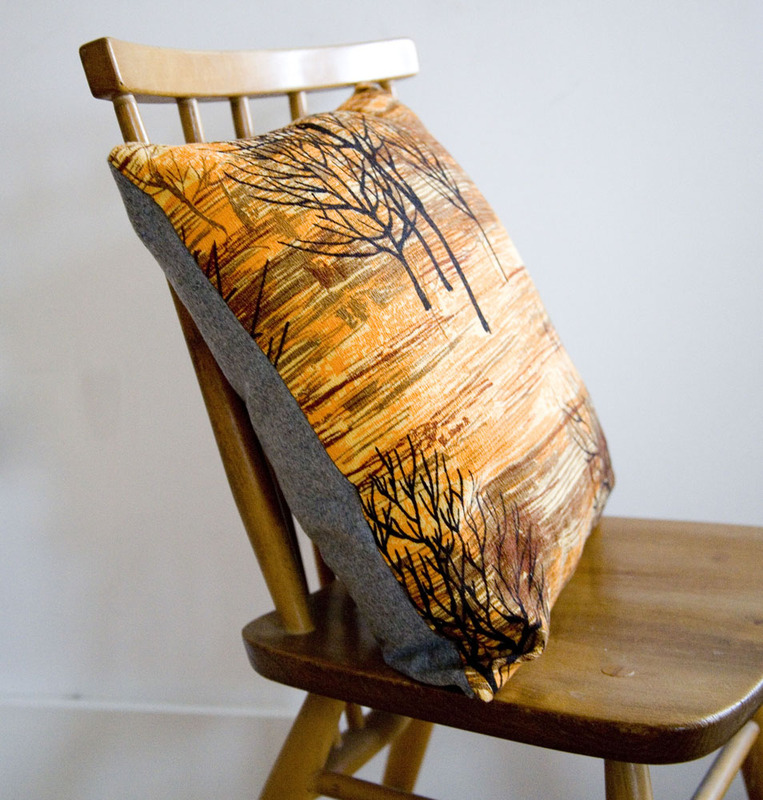 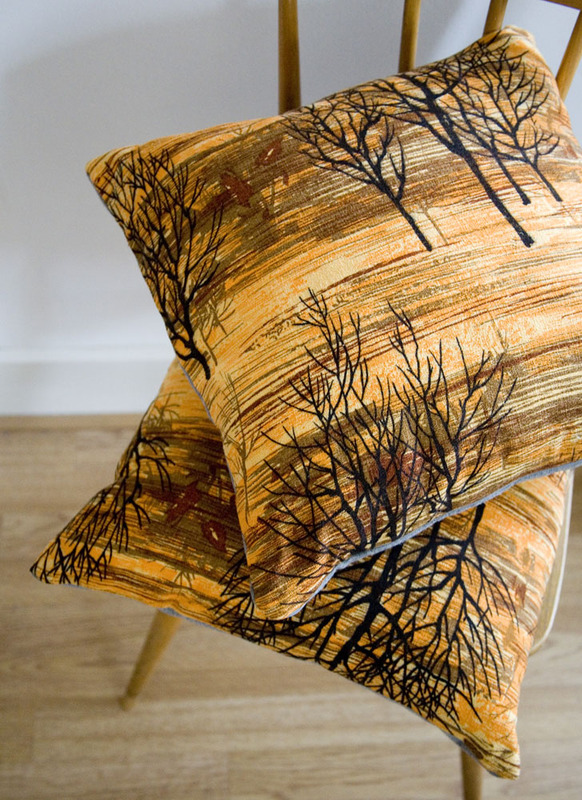 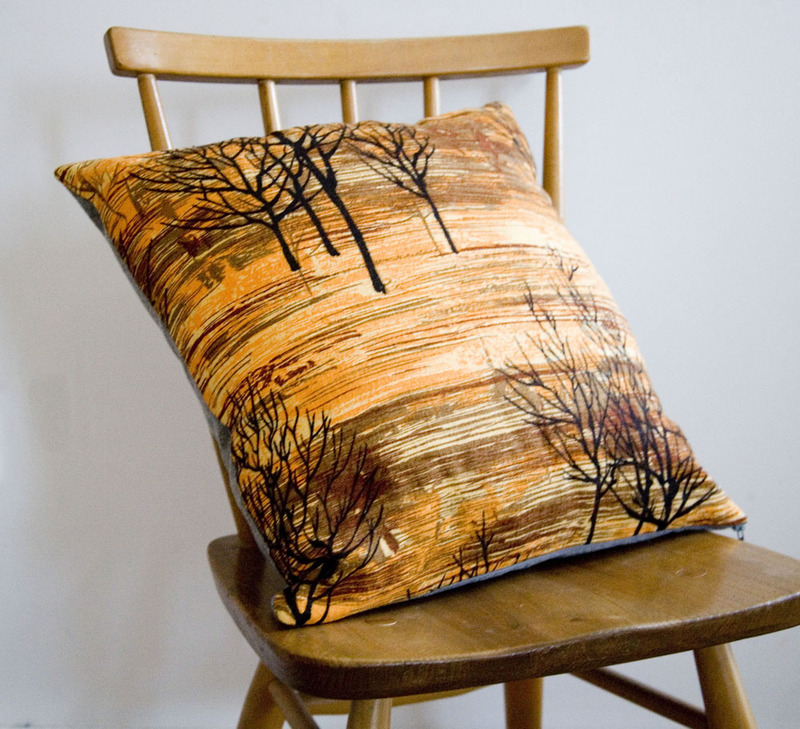 It’s a barkcloth in a beautiful rich orange with tree silhouettes printed on top in a Lucienne Day style – very mid century modern! 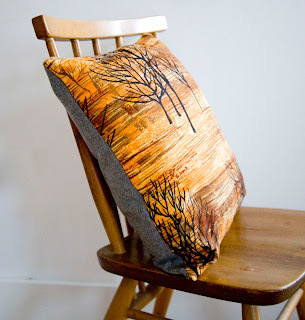 I teamed it with a heavy light grey wool to really make the orange stand out. There was enough fabric to make a set of four 18″ x 18″ cushion covers which fasten with zips along the base so they can be removed for cleaning. This is the second project off the ground for Hunted and Stuffed and there are lots lined up that I’m excited about too which I’ll be posting here as and when they are finished.